Aymeric Audfray a soutenu sa thèse de biochimie le 8 décembre 2008 à l’Université de Limoges sur le thème des fucosylgycannes impliqués dans la myogenèse, en collaboration avec l’INRA. Il a ensuite fait 4 année de post-doc au CERMAV, à Grenoble dans l’équipe d’Anne Imberty (« Glycobiologie Moléculaire ») dans le domaine des interactions protéines/sucres et l’ingénierie des protéines pour des applications médicales. Les principaux projets de recherche concernaient la découverte et la caractérisation de nouvelles lectines (protéines qui reconnaissent les oligosaccharides) ainsi que la création de nouvelles propriétés (stabilité, structure, spécificités,…) pour plusieurs lectines afin de générer des outils biotechnologiques. Au cours de ces activités, il a pu se familiariser avec les techniques de biologie moléculaires (clonage, production de protéines recombinante, mutagenèse,…), les techniques d’analyse des interactions biomoléculaires tels que la microcalorimétrie (ITC,DSC) ou la résonnance plasmonique de surface mais également les techniques de biologie structurale comme la cristallographie des protéines. Plusieurs lectines découvertes et produites de façon recombinante sont aujourd’hui en cours d’évaluation pour des applications en cancérologie. En Décembre 2014, il a rejoint Malvern Panalytical comme ingénieur d’application sur les techniques de microcalorimétrie (ITC et DSC) mais également sur des techniques de caractérisation des protéines comme le suivi individuel des nanoparticules (NTA) ou la dispersion de Taylor (TD). Au sein de la division Bioscience de Malvern Panalytical, Il assure aujourd’hui les essais sur les différents systèmes analytiques ainsi que le support applicatif pour les utilisateurs des solutions Malvern Panalytical. Before joining Adebiotech he acted as a strategy consultant for international biotech organizations . Sylvio is a multicultural person and has been a frequent speaker and moderator at various academic and industrial BioProcessing related conferences worldwide. Denis Chéreau holds a Ph.D. in microbiology obtained at INRA in Dijon in 1986, on the production of single-cell protein by solid state fermentation. He participated in the creation of Lyven SA specialized in the production and marketing of enzymes obtained by solid state fermentation for fruit juices, bread-making and animal feed markets. He then worked in the starch industry as technical manager in France and the USA and became plant management for 9 years in 2 Tereos wheat and corn plants in Picardy and Alsace. He is currently general manager of IMPROVE SAS first R&D centre dedicated to plant proteins valorisation. IMPROVE started its operational activity end of 2014, employing already 23 scientists and technicians. IMPROVE is contracting with companies working in the food, feed, cosmetic or agrobiobased chemistry in or outside Europe. 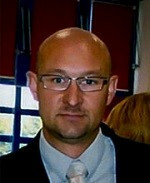 Arnaud Delobel is the R&D Director at Quality Assistance. He graduated from ECPM Strasbourg and specialised in mass spectrometry of proteins and peptides during his PhD at the CNRS in Gif-sur-Yvette (France). 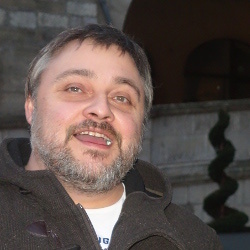 After a post-doc in Liège (Belgium) focused on proteomics, he joined Quality Assistance in 2006, and held several positions in the company to eventually become R&D Director in 2016. As the head of the R&D Department, he is responsible for supervising internal R&D projects, aiming at implementing new analytical technologies that will ultimately be provided by Quality Assistance to their customers. 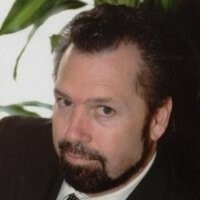 He is also supervising the work of Scientific Managers who identify market needs with input from the Management, Regulatory Affairs Manager and external experts, and from any relevant data gathered by Quality Assistance, and that are responsible for interpreting and translating this intelligence into developing new R&D services. 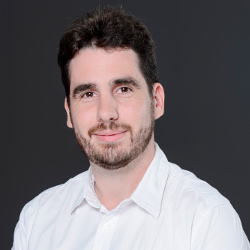 Following his PhD in Targeted proteomics at Lyon University in Jérôme Lemoine’s team, Quentin joined Sciex (Danaher) a LC-MS provider. He was part of the EMEA application team dedicated to Omics applications. He developed a strong expertise in global protein analysis and strong background in customers care and relationship. 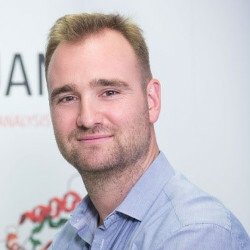 He joined ANAQUANT in 2016 as Business Development Manager to bring his LC-MS expertise but also his market knowledge on protein analysis and customer needs in Europe. Since 2017, he is an MBA graduate from IAE Lyon. Dr. Christophe FLAHAUT has a Ph. D degree in Biochemistry of the University of Sciences and Technology Lille 1 (2001). Since 2003, he is Associate Professor in Biochemistry at the University of Artois, in the north of France. He is lecturer in Licence (Biochemistry and Biology) and Master degrees where he teaches the enzymology, the protein purification and characterization technologies, the metabolisms (i) of fatty acids, (ii) nucleic acids, (iii) amino acids, the applied bio-informatics and the biochemistry of foods and mass spectrometry. He is responsible of a professional Licence entitled "Biotechnology and engineering process applied to drinks". His research activities were dedicated during 10 years to the proteomic approach of the Blood-Brain Barrier (BBB) where he has been responsible of the setting-up of a proteomics plate-form (spot picker, digester, LC-MS/MS, biomarker discovery robot and associated software) based on a MALDI-TOF/TOF mass spectrometer (Bruker Daltonics). 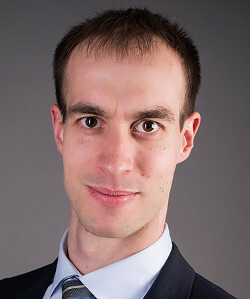 Since September 2013, he works in quality and safety of foods within the agro-food and biotechnology research institute named institute Charles VIOLLETTE where he had participated to the setting-up of two mass spectrometers (Synapt G2S, from Waters and Autoflexspeed from Bruker Daltonics) on the REALCAT platform. His main research activity is dedicated to develop concepts and mass spectrometry-based tools to manage the quality and safety of foods (e.g. the identification and characterization of peptides and of microorganisms by ESI-MS/MS and MALDI-TOF mass spectrometry). He is author of 28 scientific papers, 5 reviews, 3 chapters of book and more than 43 oral communications. He is the principal contributor of two declarations of invention. 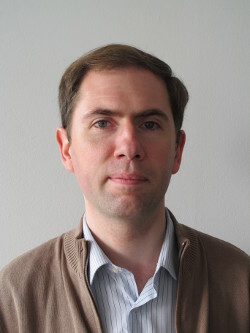 Yannis FRANÇOIS obtained his PhD in Analytical Chemistry from Pierre and Marie Curie University in 2006 under the direction of Prof. Dr. P. Gareil and Prof. A. Varenne. During his PhD, he gained expertise in capillary electrophoresis by developing methods involving ionic liquids as new separation media. Then he did an posdoctoral fellowship at Paris Descartes University under the supervision of Prof. Mr Gardes-Albert on the characterization by mass spectrometry of proteins stressed by radiation. In 2007, he was appointed associate professor at the University of Strasbourg in the Laboratory of Mass Spectrometry of Interactions and Systems headed by Dr. Emmanuelle LEIZE-WAGNER. He develops new methodologies in CE-ESI-MS and CE-MALDI-MS for structural characterization at different levels of therapeutic proteins. Dr. Emeric Gueneau is Biacore Application Specialist at GE Healthcare. He studied chemical engineering at National Higher Institute of Chemical Industries (ENSIC). After graduation, he received his Ph.D. in structural biology from the University of Paris Saclay (France) in 2011, working on structure-functions relationships for DNA repair proteins. At GE he is focusing on application and methodology development for new and existing Biacore users. He also has over the past years given supports within academia and industry to expand the application of label-free interaction analysis throughout drug discovery, development and manufacturing processes. He has more than 10 years of experience in label-free technology and on a regular basis, Emeric lectures at conferences and pharma/biotech industry sites and Universities. Romdhane Karoui is currently working as a Professor at Artois University, France. 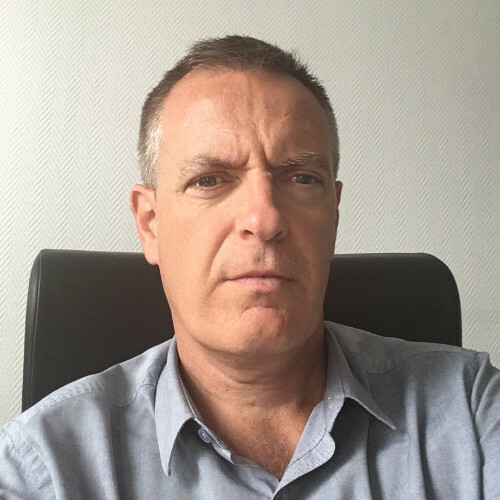 He is the Responsible of: i) Charles Viollette Institute at Artois-site; and ii) Master of Science entitled “Innovation and Industrial Transfer in Agro-alimentary”. He received his PhD in Food Science from Blaise Pascal University, and the accreditation to supervise research from Polytechnic National Institute of Toulouse, both in France. 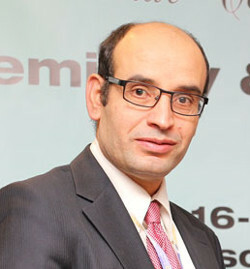 Following the results that he obtained between 2001 and 2006 by using rapid analytical techniques, he conducted between 2007 and 2009 an industry focused project aiming to design, develop and industrialize a miniaturized system based on fluorescence spectroscopy for on-line measurements of the quality and safety of food products. The project has been recognized by the French Ministry of Higher Education and Research, and between 2009 and 2010 he was engaged as senior research scientist at Gembloux Agro-Bio Tech, Belgium. The research interests are centered on the use of rapid analytical techniques, specifically near infrared, mid infrared and fluorescence spectroscopy for the determination of the quality and safety of food products. He is the author of more than 90 peer-reviewed scientific papers and more than 100 articles in conference proceedings, book chapters, and reviews. In addition, he serves as both editor and editorial board member for several peer reviewed journals. 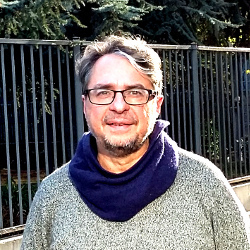 Alessandro Masiero studied at the University of Padua, where he obtained his master degree in Medicinal Chemistry and Pharmaceutical Technology and his PhD degree in Biochemistry and Biophysics. During his Master and PhD theses, he began learning computational structural biology and molecular dynamics simulations, and he worked on Von Hippel Lindau syndrome and circadian rhythm entrainment. 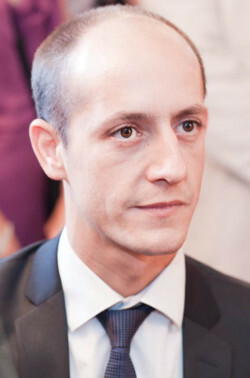 After obtaining his PhD degree, he began as a postdoc at Sanofi France, getting then hired as a research scientist in bioinformatics and computational protein engineering of biotherapeutics. Dr. Tim Menzen is Chief Technology Officer at Coriolis Pharma, a science-driven contract research organization located in Munich, Germany for formulation development, lyophilization, and analytics of biopharmaceuticals, and responsible for new technologies and innovation. He is a pharmacist by training and received his PhD in the group of Prof. Dr. Wolfgang Frieß at the LMU in Munich, Germany. Tim is current Community Leader of the AAPS Biopharmaceutical Product Attributes and Biological Consequences (PABC) Community. Alexey Rak got his M.Sc in Biology and Genetics, and in Biochemistry. He then completed PhDs in Biochemistry and Biophysics working on protein biosynthesis machinery characterization. He did his PostDoc and then held a Group Leader position at Max-Planck Institute for Molecular Physiology in Germany working in the field of vesicular membrane trafficking. For this work he was awarded several honors including European Young Investigator Award in 2004. 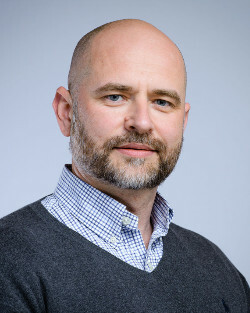 Since 2007 Alexey joined Sanofi as head of protein crystallization in Paris where he has developed new methods to characterize biophysical properties of proteins including biologics, and enabling the lead discovery of challenging protein targets. Since 2014 he is heading Bio Structure and Biophysics at Integrated Drug Discovery in Sanofi. 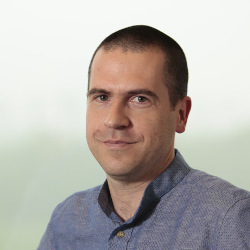 After an MSc in biochemistry at the UPS (Toulouse), Bertrand Raynal has completed his PhD and post-doct in the Wellcome Trust Centre for Cell-Matrix Research in Manchester where he has developed skills in biophysic more specifically in hydrodynamic. 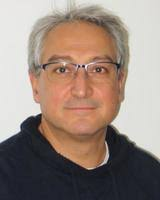 Since 2007, he is an experimental officer in the molecular scale biophysical core facility in Institut Pasteur (PFBMI) where he is in charge of the hydrodynamic characterization (AUC, SLS, DLS, DPI, SAXS). In 2017, Bertrand Raynal has initiated the quality control of purified proteins service of the Institut Pasteur that run more than 300 sample a year. 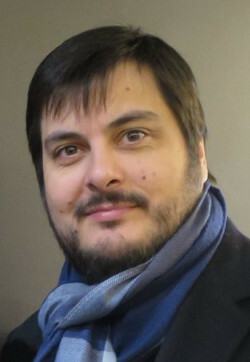 Alain Riaublanc was first graduated as engineer from the Ales School of Mines and then he obtained a PhD in Food Science at Agrosup Montpellier. He was recruited in 1993 at the INRA center in Nantes to work on the physicochemistry of emulsified systems. Subsequently he expanded his area of activity to foams and gels with a focus on the functional properties of protein assemblies in these systems. In recent years, its proteins of interest evolve from the animal domain towards plant sources. Since 2013, he is leader of the team « interfaces and dispersed systems » of the BIA unit. 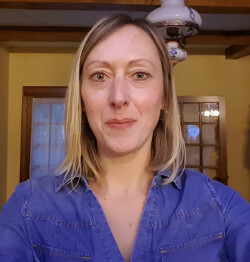 Audrey Romelard has been working in analytical Research and Development for 12 years. She graduated from Engineering school “Polytech Lille”, training GB IAAL. She first worked for Genoscreen, before joining Ingredia's team in 2007 as Development and Analytical Specialist. Following studies in molecular biology and biochemistry at the Swiss Federal Institute of Technology (ETH) in Zurich, Switzerland, Dr. Roesli performed his PhD thesis in the lab of Prof. Dario Neri at the same university. After the subsequent PostDoc period, he led his own research group on biomarker identification and development of antibody-based therapeutics at the German Cancer Research Center in Heidelberg, Germany. Finally, he moved to industry where he is working in the analytical development and characterization of both biosimilars and new biological entities, with a focus on quality by design and the assessment of critical quality attributes. 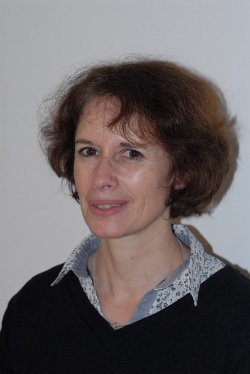 She has started in 1999 in Rhône-Poulenc Rorer and put in place the analytical characterization of recombinant proteins. She has started working with microfluidics-based automated electrophoresis in 2001. Then, she has joined the purification team to increase her competences in purification. She’s now head of Protein Analysis and Developability team in Biologics Research department in Sanofi. Dr. Daniel Some develops scientific and technical content on new applications utilizing Wyatt’s instrumentation. He collaborates with instrument users and manages internal projects. He is involved in developing Wyatt’s instrumentation for characterization of biomolecular interactions. Dr. Some obtained his B.Sc. 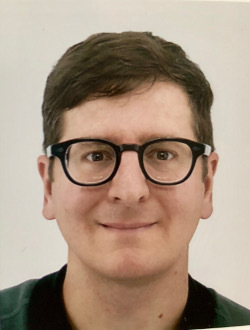 from the Israel Institute of Technology and Ph.D. from Brown University, both in Physics, and completed his postdoctoral research at Los Alamos National Laboratory and the Weizmann Institute of Science. Pierre Soule defended a PhD in biophysics from the University Pierre & Marie Curie on single molecule microscopy and force measurement. From it, he joined NanoTemper Technologies GmbH as an application specialist where he developed a strong knowledge on affinity measurement and protein stability. Through his position he strengthened his knowledge in both physic and biology while providing customer support on many users across Europe and since recently exclusively in France. 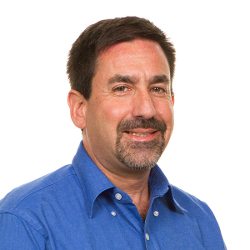 Robert Umek, PhD, is director of external scientific affairs at Meso Scale Discovery (MSD). Formerly, Dr. Umek was director of research at MSD and was responsible for the development of many of the company’s multiplex biomarkers assays. He received his PhD from the Department of Molecular Biology at Roswell Park Cancer Center and completed postdoctoral training in the Carnegie Institution of Washington's Department of Embryology. His previous appointments include: director of assay development, Clinical Micro Sensors; assistant professor, Biology Department, University of Virginia; and program director, Cellular Basis of Metabolic Disease, National Institute of Diabetes and Digestive and Kidney Diseases. 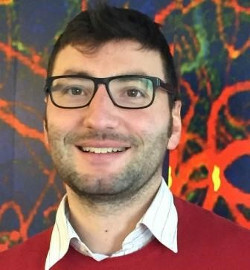 Dr. Umek currently represents Meso Scale Discovery to the Alzheimer's Disease Neuroimaging Initiative, the Coalition Against Major Disease, the Parkinson’s Progression Markers Initiative and the Global Biomarker Standardization Consortium.